There’s only one escape game in this list but I’m intrigued by an interesting premise and the fact that the mind behind it is a Maze Master at the Crystal Maze. I can’t testify to whether they know anything about creating puzzles, but their Crystal Maze work strongly suggests that they know a bit about entertaining! They were also involved with Heist, a show put on by Theatre Delicatessen and Dean Rodgers which, while not quite an escape room, was at least related. The creatives involved in designing the set and props have extensive involvement in the industry with the likes of the Crystal Maze, the Neath and Secret Cinema. In their own words: IT’S EVERY MAN, WOMAN AND ROBOT FOR THEMSELVES. One minute you’re sailing across the solar system, the next your banged up in the ramshackle hold of a Bounty Hunter’s ship. What else could go wrong… The Lifeboat is an eight person escape room inspired by the great science fiction films of the seventies and eighties. Locked aboard a prison ship with a grim history of its own, you’ll need to scavenge for clues and crack devious puzzles if you’re to escape. The oxygen supply is running low, the ship’s computer has lost its mind and that lifeboat won’t wait forever. Get out while you still can! I played Revolution a few months ago when it was on at the Colab’s location near Waterloo. The full review is here, but it’s the sort of experience that I think will appeal to everyone. It’s most definitely gaming theatre, but it’s also kind of a souped-up board game with creative challenges, a bit of political debate and, to some extent, commentary, with a dose of diplomacy and, at times, espionage heaped on top. In their own words: REVOLUTION HAS ENGULFED LONDON. WE, THE PEOPLE, DEMAND CHANGE. We the people have had enough. We the people will no longer be lied to. We the people say it is time for Revolution. Revolution has engulfed London and a new order must be established. The course of change never did run smooth though. Three rival factions have risen from the ashes of old authority and each must champion their cause in this new dawning of our civilization. This experience brings together gaming and interactive theatre, casting the audience as the protagonists of change in a city in turmoil. Join us underground to decide the fate of a Revolution. What needs to change? What would make our world better? What would you sacrifice in the name of your ideology? Lamplighters sounds like a spy thriller mixed with a little bit of murder mystery and improv. That’s either a recipe for disaster or pure genius, and the only way I’m going to know is by heading along. The good news is that I’ve had a personal recommendation that the star of this one-man show, Neil Connolly, is a fantastic immersive actor, and the director, Dean Rodgers, has associations with Time Run, the Crystal Maze and several escape rooms, so I’m erring towards this being genius. Time will tell! Join the Spymaster for an evening of cloak & daggers. Spymaster James Sneezy has just lost an agent in the field. He has gathered you, his spy network together. He suspects a mole. The network reenact recent events, helping Sneezy fill in the blanks and piece the story together. But who is the mole? A loving parody of the LeCarre’s Cold War era masterpieces. Expect cigarettes, whiskey, gentlemen’s clubs. Also, a Dubliner desperately trying to sound convincingly like an Oxbridge graduate for 60 minutes. A trip behind the Iron Curtain has never been so fun. OK – it’s not really a gaming experience, but I couldn’t help but mention a musical with that title! Alone in the eerie office, Laura can’t resist the temptation of peering into Samantha’s secret files. After making a grisly discovery, Laura must choose how much she is willing to sacrifice in the name of ‘success’. Again, this isn’t a gaming experience, but it does deal with gaming and so might appeal to some readers of this blog. Given how escape rooms are all about escaping reality in games, the topic of how to deal with reality after gaming is perhaps more relevant than we’d care to admit. In their own words: THREE PROFESSIONAL GAMERS GRAPPLE WITH REALITY – A NEW PLAY. The Peaceful Defeat make our VAULT Festival debut with Alex Benjamin’s new play ‘Cotton,’ a dizzying, manic trip into the world of professional gaming. When their team disbands after a devastating loss, three professional gamers are thrown back into a life that never made sense to them. They’ve got to make it in the real world – but how much of a ‘real world’ is there left for them? 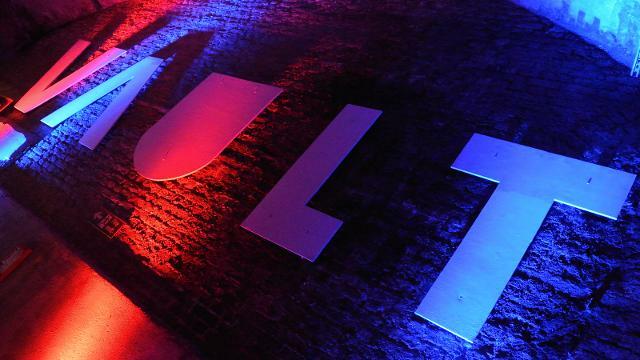 That’s it for gaming-related experiences at this year’s Vault Festival but there are plenty of other shows on offer so if you’ve got some spare time and a trip down to Waterloo appeals then check out their listing to find out what else is happening.